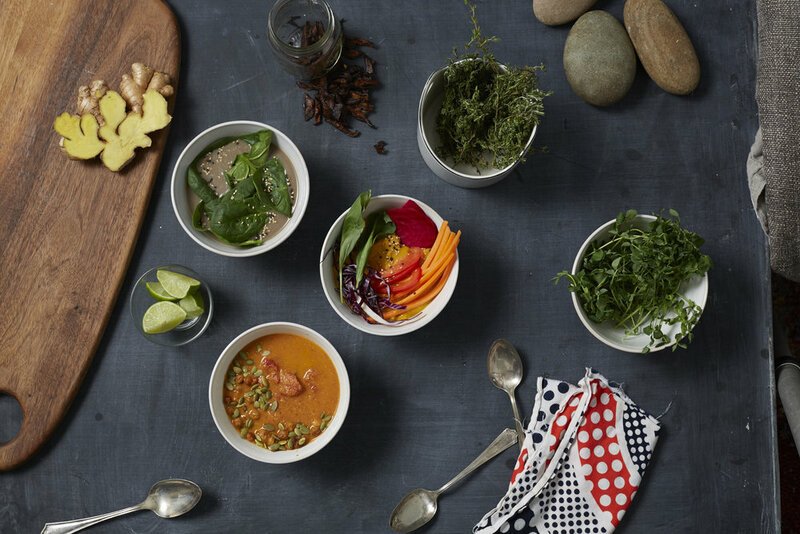 We hand-make raw & roasted wellness soups all season long. Our recipes reflect the seasons and our desire to nourish your system with Mother Nature’s most colorful ingredients. Enjoy 16 oz Mason Jars of our Grab & Go soup or relax in the shop for a hot cup of our daily offerings. Enjoy a free clementine or piece of dark chocolate with each hot soup purchase!